Kindermusik ~ Seven Magnificent Years! Here is a video compilation of the Seven Magnificent Years of Kindermusik’s core curricula all recorded in classes at my studio. Enjoy! By Vicky Barham, Ph. D.
the untaught lesson. And this is the way it should be. can take it back and expect either a refund or a store credit. advertising slogans of an established women’s clothing store!)? be work for them then! rehearsal my private lesson teacher doesn’t owe me anything. to fill a three-week hole in her schedule during our absence. we return to lessons at the end of the trip. University of Ottawa. 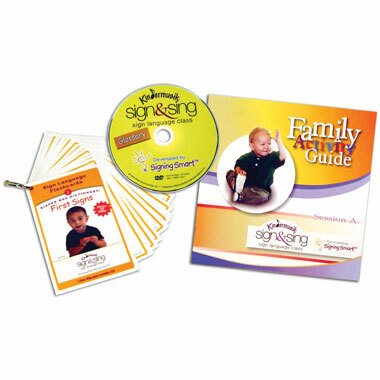 The TMTA webmasters became acquainted with Dr.
Parents are you looking for ways to improve your child’s success? 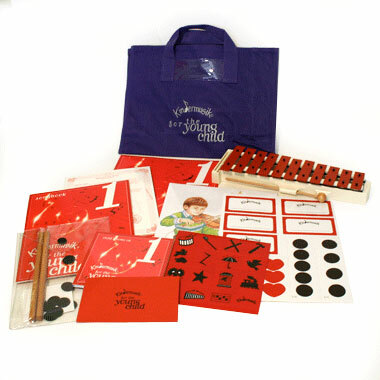 A recent study found that repeated enrollment in Kindermusik improves a child’s ability to plan, guide, and control their own behavior. The study, “The Effects of Kindermusik on Behavioral Self-Regulation in Early Childhood,” was conducted in 2005 in the psychology department at George Mason University in Virginia. 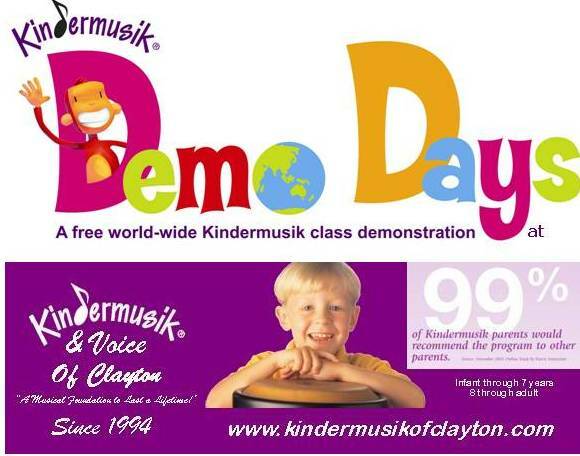 Results were made available to Kindermusik in May, 2005. The study was conducted by Adam Winsler Ph.D and graduate student Lesley Ducenne in the Department of Psychology at George Mason University. 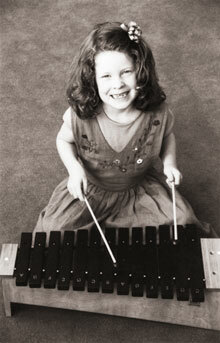 The 15-month study included 91 children between the ages of 3 and 5 who were split into three groups: 23 students currently enrolled in Kindermusik, 19 students previously enrolled in Kindermusik, and 49 students of similar family backgrounds from local preschools who had never had Kindermusik. The children were observed doing a variety of tasks that required selfcontrol such as slowing down their motor behavior, delaying their gratification, refraining from touching attractive but forbidden toys, quietly whispering, and compliance with instructions to initiate or stop certain behaviors. Parents also completed surveys. The study was supervised by Adam Winsler, Ph.D, Applied Developmental Psychology in the Department of Psychology at George Mason University. Click this link to view a PDF of our flyer. Kindermusik educator Amy B. in Plymouth MI recently was giving some advice to a fellow new educator on helping families to make their homes more musical. Thank you Amy for sharing! 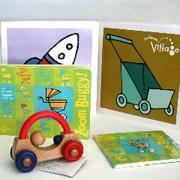 Here are a few ideas for home–a lot depends on the age of the child, so some will apply better to different ages. Basically, just as elementary school teachers suggest “littering your house with books” to encourage young children’s reading and enjoyment of reading, I would say, “litter your house with music”! That is, put it all around your whole family, so it becomes an important part of your everyday life. 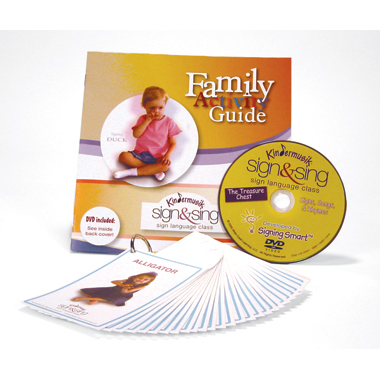 –Sing, dance, and play music at home–often–Kindermusik CDs, other good children’s music, your own favorite “family appropriate” singers and musicians. Make it a fun part of your family’s day. ordinary music to find out what you and your family like. 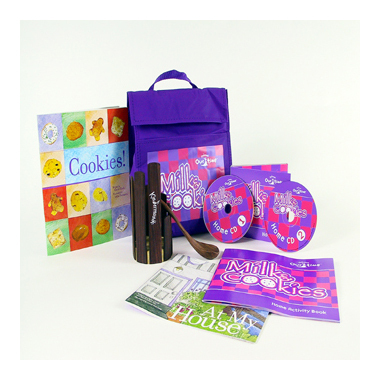 –Keep a “music basket” with your egg shakers, zig zag blocks, fiddlesticks, resonator bars, slide whistles, drums, tambourines, etc., etc., etc. in it. Put it in the same room with a CD player so it’s easy to put on some music and march, dance, and play–often. Try to avoid the temptation to ask your children to “not make so much noise” 🙂 Of course, some instruments, like slide whistles and loud drums, make great basement and outdoor “parade” instruments! 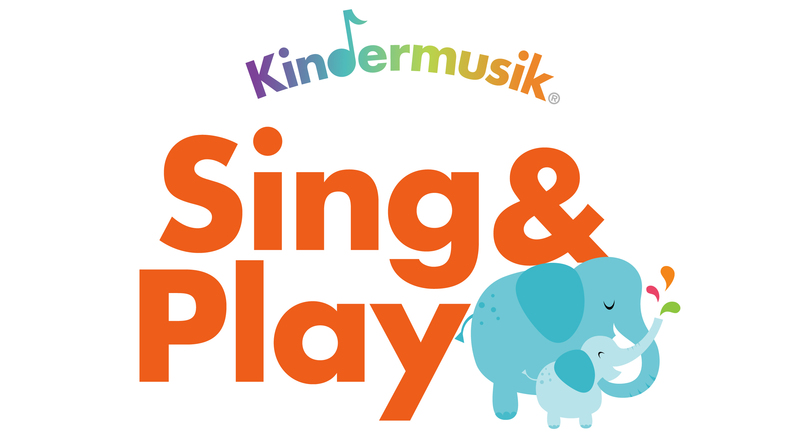 –When you get to Kindermusik Imagine That and KIndermusik for the Young Child, keep your child’s current instrument and bag very handy for them to get out. Yes, sometimes that means you’ll get to class without your slide whistle, drum, book, folder, or glockenspiel–but so much better to actually use them during the week- -and your child can share with a friend or use a spare from her teacher in class. well as music, and often others will not think anyone would want to hear them unless they’re asked. –If you have older children, or older cousins, have a family music night where everybody plays something–whatever instrument they’re learning to play, or sing a song. Have everybody join in for a sing-a-long and/or “family jam” with all those instruments from the music basket. –If you have relatives and friends with older children, go to some middle school and high school concerts. They’re cheap, usually free, and children can see others who are still learning to play and sing. High school musicians are often very accomplished already. Find out what your local high school is performing for a spring play or musical. Look for local productions of ballet, like The Nutcracker at Christmastime. –Look for family concerts and events in your area. I know this is harder in smaller communities, but maybe sometimes make it a special event on a trip to a larger city. 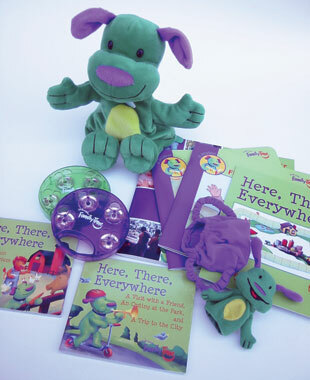 Orchestras, bands, choirs, parades, theater, ballet, puppet shows, children’s performers, summer concerts in the park…the list is almost endless. –If you’re not ready to invest in a piano, look for an electronic keyboard–one that is more than a kids’ toy without being a huge investment. Put in in a place where your child can easily play it (not “play with it”) and explore it–simply expect them to treat it kindly and gently (playing with fingers, not fists or feet). You could even consider looking for a used child-size violin or guitar–not to start lessons on it, just to explore and play. –Try to avoid the temptation to rush into formal lessons–again a great reason for Kindermusik for the Young Child since it is process, not performance based and is age- and developmentally appropriate!